True Image 2017 has been released with a few new features including the ability to backup unlimited mobile devices, mobile device backup to a PC, remote backup management and the all-important Facebook backup. You wouldn’t want to lose all those memes and stuff you posted on Facebook would you? How about all those memories and pictures you posted. All that can be backed up with just a couple clicks with this new version. The new version is also faster and easier to use than ever making this review of Acronis True Image 2017 rather hard to do. I have been using and reviewing the program for nine years now and it used to be fun learning and showing all of the new stuff released every year. Now it’s kind of a boring program to review because they made it so darned easy to use that a six year old could probably figure it out. It is still packed with all the features needed for a total backup of PCs and devices. This review of True Image 2017 will focus on the new features and hit on some of the other useful utilities included in the software. We all know how important a good backup strategy is when it comes to saving all of your important data stored on your computer. If you have been using a computer for a while, you have probably experienced some type of data loss. If you haven’t, you will. Trust me on that one. Hard drives fail, Windows gets corrupt and wont boot, power outages, fires, hurricanes – all kinds of bad stuff can happen that can potentially lead to data loss. True Image protects that precious data. A lot of the data stored on PCs, smartphones and other devices is irreplaceable. Think about it. Word documents, spreadsheets, tax information, emails, pictures of your family and pets, all can be lost in the blink of an eye. Acronis makes it easy to keep all that stuff protected. Now for the review. Simply open the program and it brings you to the main interface. From here you can choose what to back up. You can choose the entire PC or individual files and folders. You can choose any destination available to store the backed up files. Choose from external hard drives, USB drives or the Acronis Cloud. Then smack the Back up Now button and you are done. I told you that reviewing this program was getting boring. They made it too easy. Two clicks is all it takes. 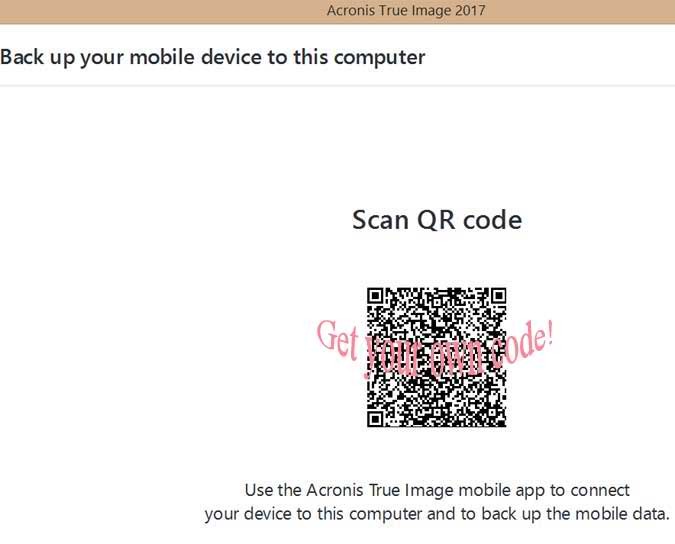 That truly is all there is to backing up an entire PC using Acronis True Image 2017. Other reviews showed you how to back up a PC to an image file, restore the files, backup and restore files to the Acronis Cloud, create a bootable USB drive and clone a hard drive. I like backup redundancy but I don’t like to be redundant when it comes to reviews so check out the previous reviews to see those processes if they interest you. This looks like something new. Social network backup and Mobile device backup. For the rest of this review, I will focus on some of the new stuff. 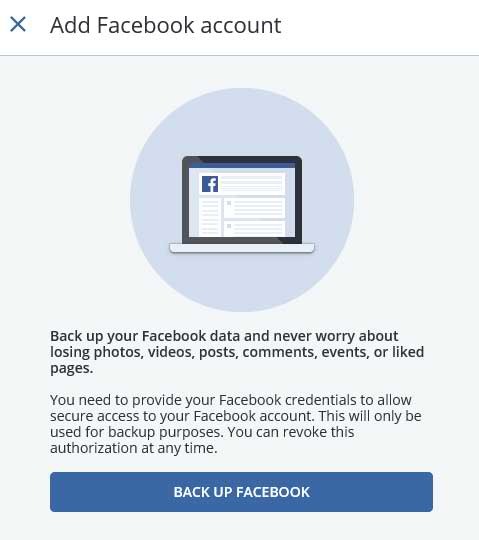 Particularly mobile device backup and seeing what this Facebook backup is all about. Backing up a phone with True Image is as easy as downloading the app for iOS or Android and opening it up. 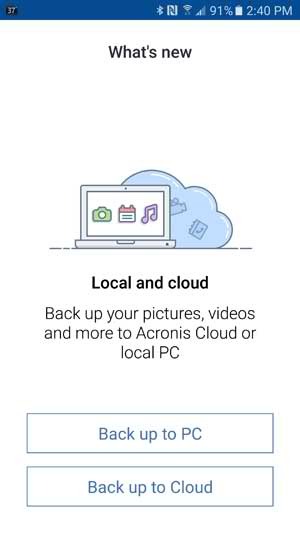 This is a screenshot of the Android app where I can back up my pictures, contact videos and more to the Acronis Cloud or right to my PC wirelessly. I am going to back up the pictures on the phone to the PC for this review. The PC and phone need to be on the same wireless network. Then start True image on the PC and click on mobile device backup which brings up a QR code to scan. Download a QR Code Reader at your app store and scan the QR Code on your PC with your phone. 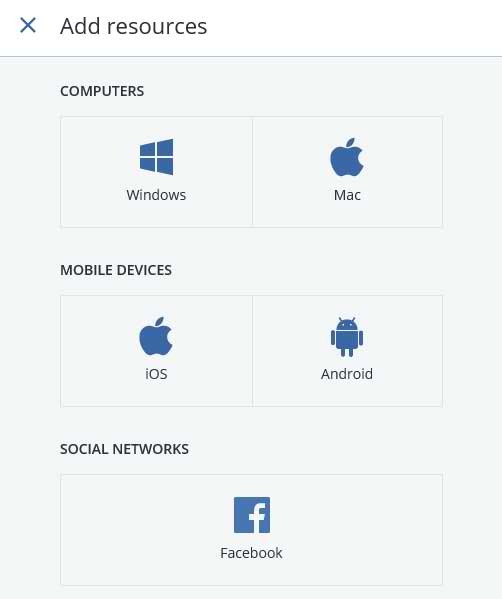 After you are connected, choose what to backup or just backup everything on you mobile device to your PC. 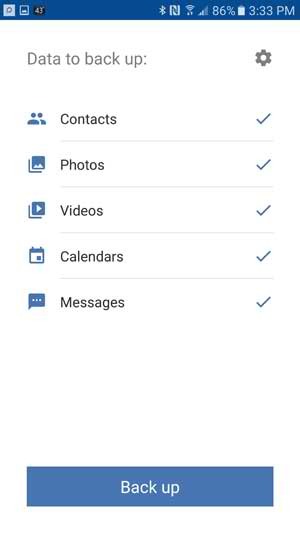 Choose from contacts, Photos, Videos, Calendars and Messages then smack the Back Up button and let it fly. It is as simple as that. The settings also allow you to back up continuously so when you walk in your door, it will start backing up any new stuff or you can set it to manual. You should probably keep it on continuous so when you drop your phone in the toilet or walk into a pole and drop it on the sidewalk you can easily restore the files to a new phone. The restore process is just as easy. Open up the app and click Recover All. Now for that social network backup button. 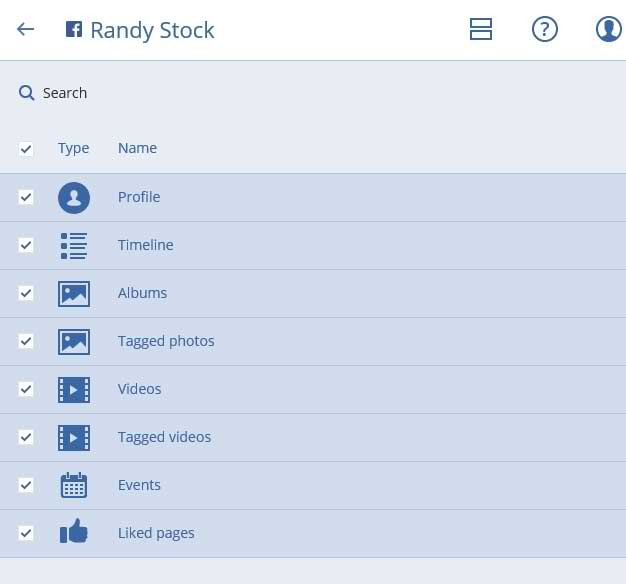 You may have many years of data on Facebook that you may want to save. 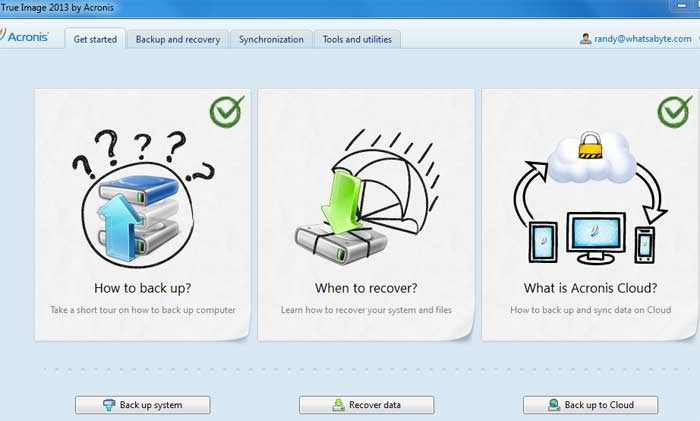 If you do want to save it, Acronis makes it easy. Clicking on the button brings up a screen to add resources. Facebook would be the obvious choice. Clicking that brings up the following screen. Are you sure you want to do that? Why not. After putting in my credentials, here is the final screen where I can back up my Profile, Timeline, Liked pages, Photos and videos and Events. Not sure if I want to see what I have done on Facebook in the past but what the heck. Of course I smacked the apply button to see what happens next. When it was finished, the results are easily accessible from the cloud to do with as you see fit. You can browse the data, search the data and download it to your device of choosing. So that is the new Acronis True Image in a nutshell. It is faster and more powerful than ever and the new mobile device backup feature works as intended. 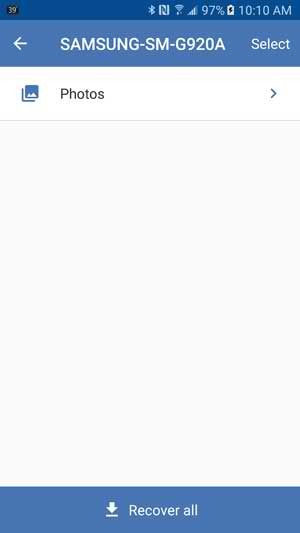 Keeping your smartphone backed up is getting more important than ever so this is a nice feature to have. True Image 2017 is the best way to keep all of your data safe and secure. 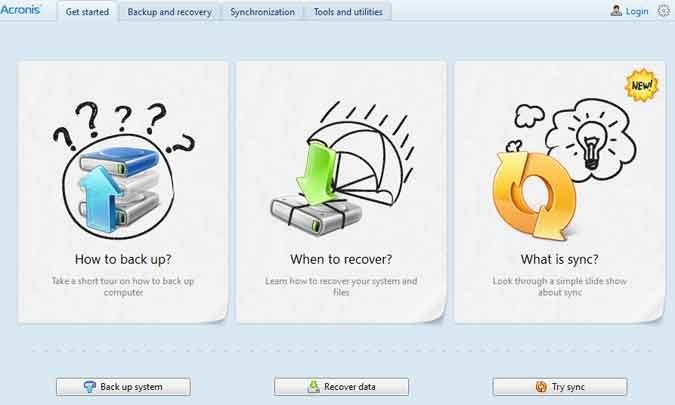 Whether it is backed up locally or to the cloud, it all is easy to backup and recover from virtually any device. The premium subscription now comes with Acronis Next Generation technology that protects your data from the nasty ransomware that has infected so many computers around the world. It actively protects and neutralizes attacks keeping your files intact. This is not a replacement for your antivirus software. It just adds a layer of protection to your data without slowing down your PC. True Image New Generation also comes with Acronis Notary to ensure a file’s authenticity. 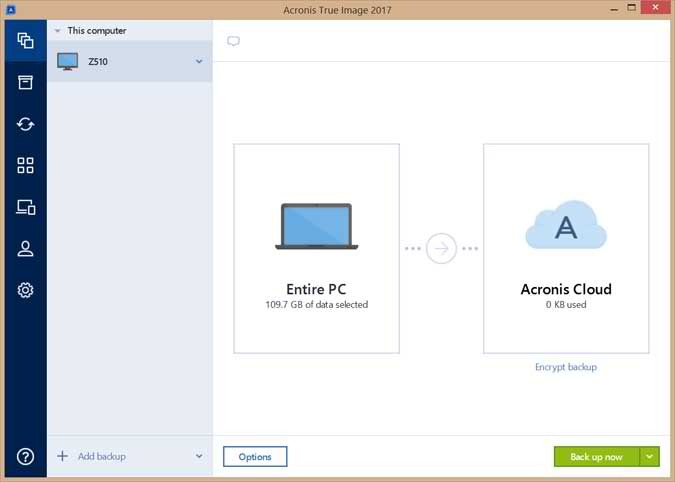 Acronis True Image 2017 has been released and it is optimized for Windows 10 and the most recent Mac OS X versions. This version is between 3 times to 6 times faster than the competition. Through the years, True Image has been making it easier and easier to keep your data safe by backing it up. The 2017 version has simplified the process even more. 2 clicks is all it takes to do a full image backup of your entire computer. This version combines the features of the previous versions which includes dynamic disk support and Universal Restore allowing you to restore data to a different PC even if it has different hardware. Wi-Fi support has also been added when backing up to the Acronis Cloud even to a bare-metal PC. It easily backs up Windows, Mac, iOS, Android and even Facebook. Gotta keep up with the times.Save 10% on True Image 2017 products or subscriptions with Acronis Coupon Code: BUYACRONIS2017 Offer excludes renewals, upgrades and not stackable with other offers. 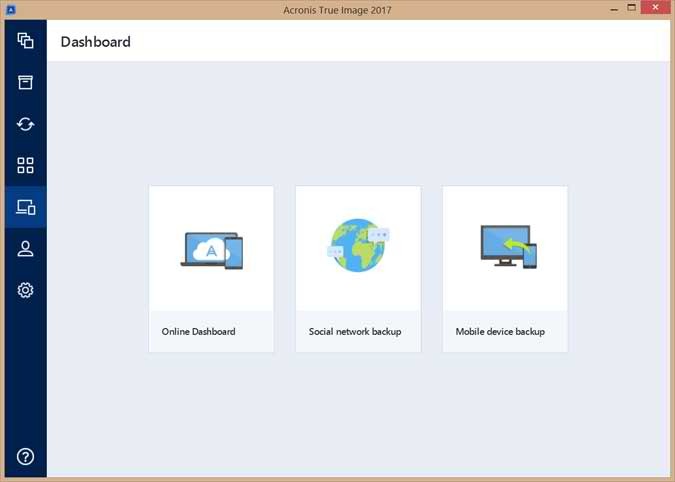 Acronis New Generation includes all of the previous features of True Image 2017 including, online and local backup, mobile device backup and social network backup. Now it has added security features to ensure data is not compromised in any way. The features added are critical in keeping all those precious files safe. A feature called Active Protection protects your PC from the latest threat going around called Ransomware. Acronis Notary is a feature that allows you to store sensitive and important files in such a way that their authenticity can be positively confirmed using blockchain technology. Asign allows you to electronically sign a document with a unique certificate. Ransomware protection alone is worth the $99 bucks it costs for the New Generation. It not only protects from Ransomware but can restore files that may have become infected at the onslaught of the attack. See the review of the New Generation. Question: If I take an image of my PC, does the image copy the files only? Does it copy the programs as well? What if my PC crashes? Can I reinstall the image on a new computer so that all the programs will work?